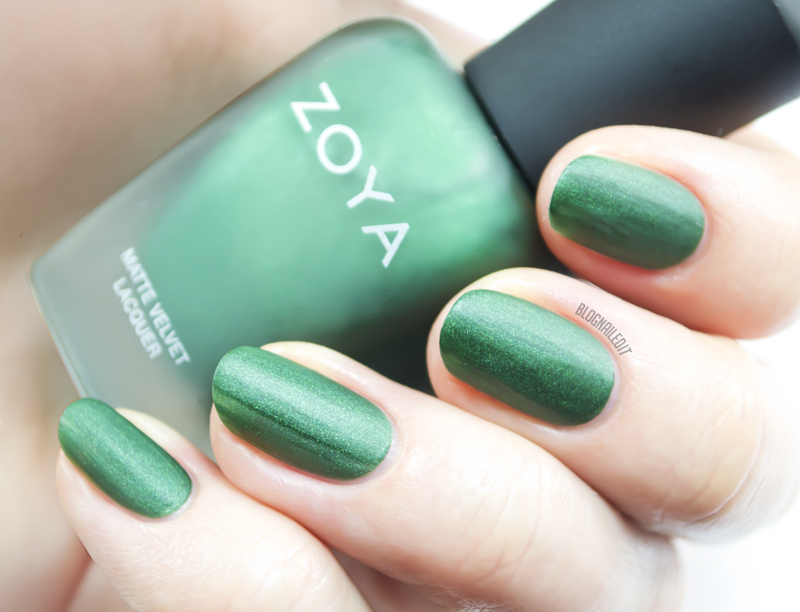 If you're craving a non-traditional polish post, you'll love today's from Zoya. 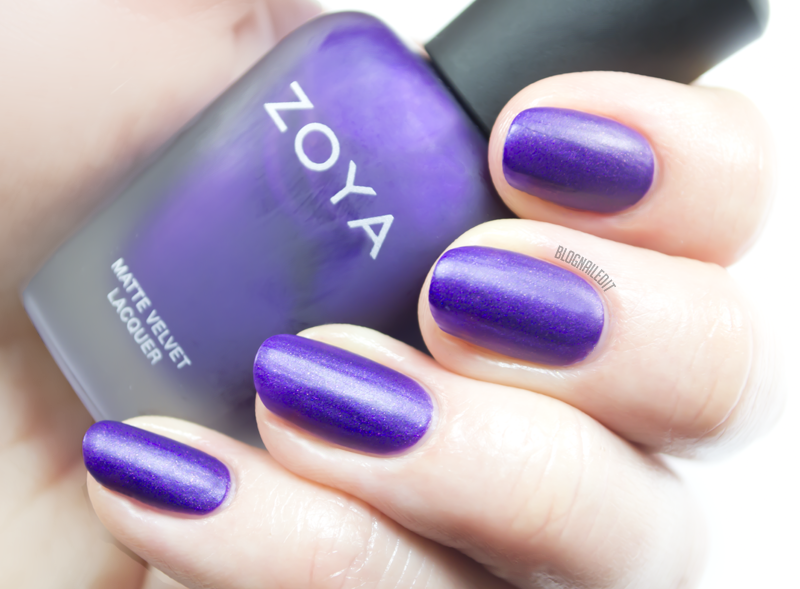 For Fall 2014, Zoya released their MatteVelvet Collection, which features 6 colors that dry beautifully matte. You know how neon colors dry matte, but they dry a little lumpy? Well these colors glide on beautifully and smooth out perfectly. To get an idea, here's some nail art using the Pro XL Plate 6 from MoYou London. I didn't use any top coat for that design, just stamped Konad black over Posh and took the picture. See how smooth it is?! Now let's look at Posh and the other MatteVelvets on their own. Each polish has a hint of sparkle in it, which also dries matte, creating a really beautiful finish. I didn't for my swatches, but check out how these look with a shiny top coat over them. Peachy Polish did comparison shots with and without a top coat, which can really change the effect of the polish. Posh (2 coats) is a red matte finish. It's like red velvet on the nails. Veruschka (2 coats) is a Christmas tree green matte with slightly more noticeable sparkle than Posh. 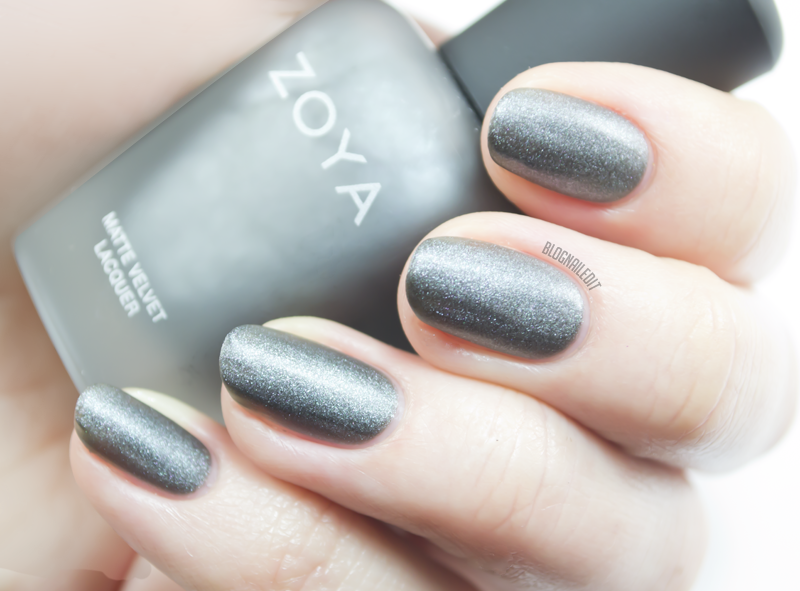 Dovima (2 coats) is a mature charcoal matte polish with light silver sparkle. Of all the colors in the MatteVelvet collection, Harlow (2 coats), the magenta matte, comes out the least matte, with its shimmer really shining through the most. Loredana (2 coats) also appears a little less matte. It's a lighter charcoal shade with extra sparkle. Last but not least is Savita (2 coats), a royal violet matte with minimal sparkle. It's probably my personal favorite! 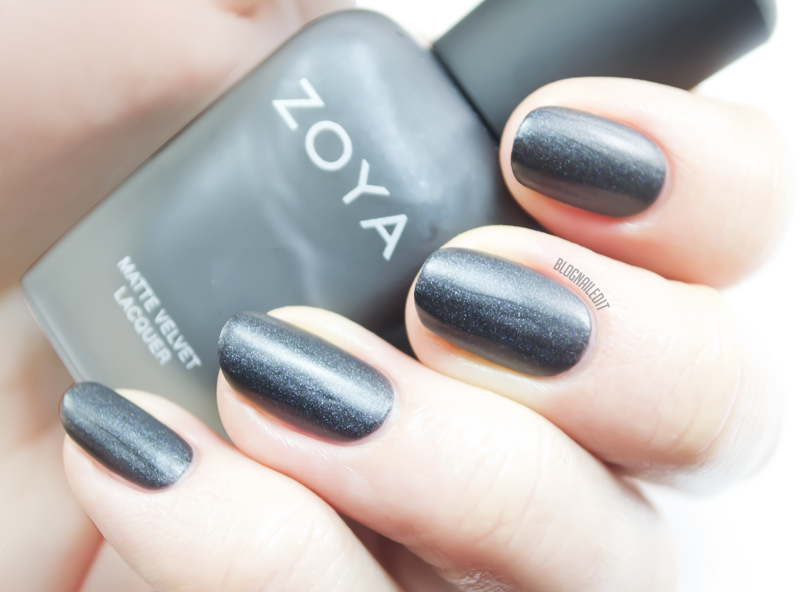 Following the matte bandwagon, Zoya also released a transitional line from winter to spring, called Naturel Satins, which I'll have for you on Nailed It very soon! Veruschka is my absolute favorite one and your nail art is magical! Wow! Veruschka and Posh are my favourites but Savita is actually pretty beautiful, too - so vibrant! Loved your stamping on Posh - just gorgeous!